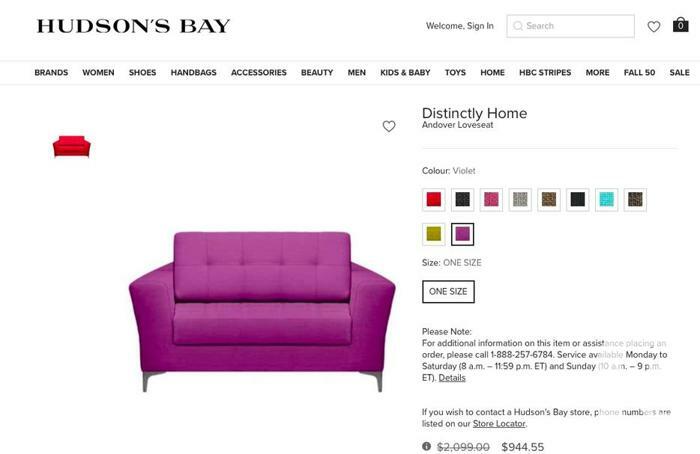 I am selling a beautiful purple loveseat purchased in 2017 from the Hudson Bay. The couch seats two people very comfortably and am only selling due to moving provinces. A similar model/price point can be seen from the Bay's website. This couch comes from a pet-free, smoke-free home. There are no rips or stains on the couch. Truly in pristine condition.